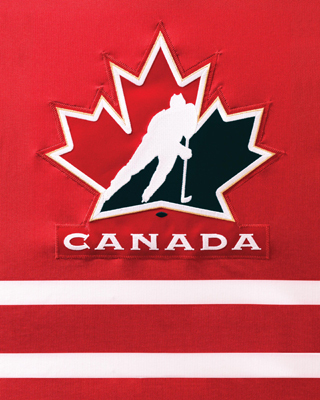 Penguin Books will be celebrating 30 years of Canada's "Program of Excellence" at the World Junior Hockey Championships with the release of Thirty Years of the Game at it's Best. This book is a must have for fans of the world junior tournaments - which is pretty much all Canadians. The WJCs have become a Christmas time tradition in Canada, every bit as much stuffing stockings and singing carols. While the World Juniors date back to the mid 1970s, Canada really started taking the tournament seriously in 1982 when they created the Program of Excellence. Ever since Canada has been a power house. And the memories are ever lasting. Like the impromptu singing of O Canada by the players in 1982. Or John Slaney's big goal in 1991. Or Jonathan Toews shootout magic. Or Jordan Eberle's never ending heroics. 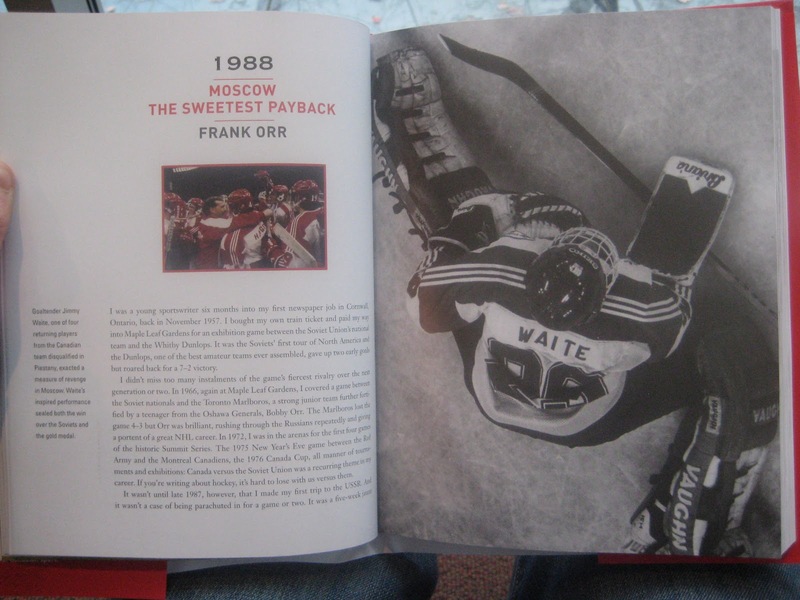 Richly illustrated, Thirty Years of the Game at its Best t takes readers on a year by-year retrospective, with each tournament’s story told from the perspectives of the players, coaches, or journalists who were there. 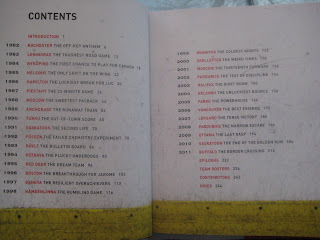 Contributors include Mike Babcock, Brendan Bell, Murray Costello, Damien Cox, Sheldon Ferguson, Gare Joyce, Terry Koshan, Roy MacGregor, Steven Milton, Frank Orr, Donna Spencer, Jesse Wallin, Tim Wharnsby and Ed Willes. The book is really an intriguing undertaking. It is not an encyclopedic history of the world juniors as much as an insider's look at some of our favorite hockey memories. 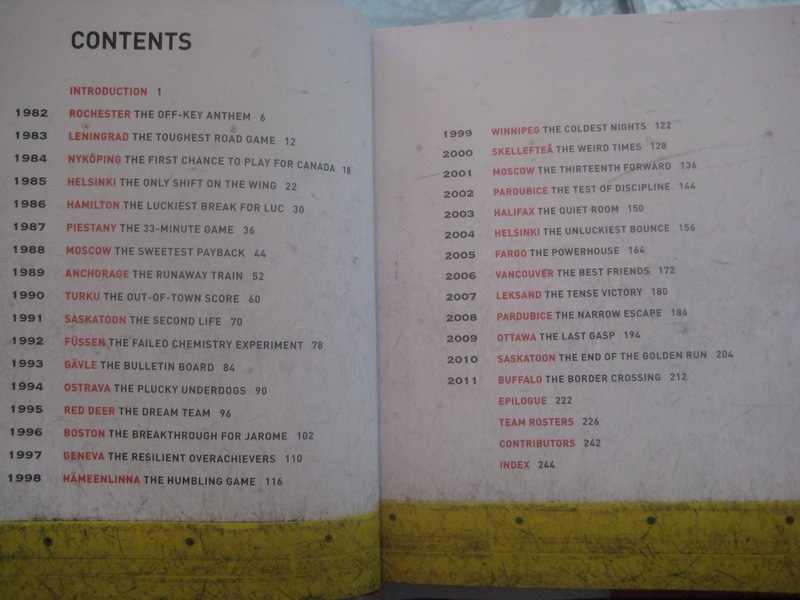 There is definitely something in this book for every Team Canada fan. Here's a couple quick snap shots inside the cover. Click on each image to make it larger. Good book. 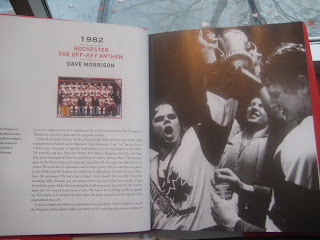 However, as a Cornwall ON native, I was disappointed to see that rosters erroneously indicate that former Cornwall Royals players Scott Arniel, Mike Stapleton and John Slaney played for Cornell University instead of Cornwall Royals.